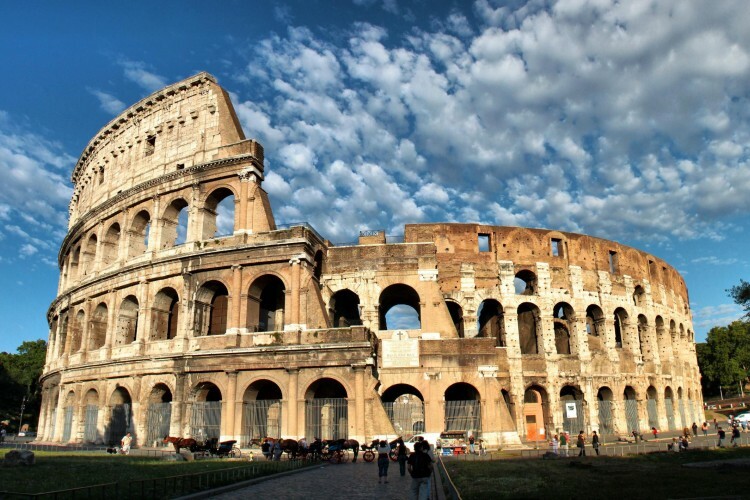 The capital of one of the world’s most powerful ancient empires, Rome is a fascinating place that has inspired people to visit it for millennia. You can enjoy this with these incredible $377 RT airline flights out of Chicago from Delta from January 2019 to April 2019. Rome is one of Europe’s grandest cities. It is a showcase of ancient Western civilization, with marvels such as the Colosseum, the Roman Forum, and the Pantheon. It takes days and days to truly explore Rome. 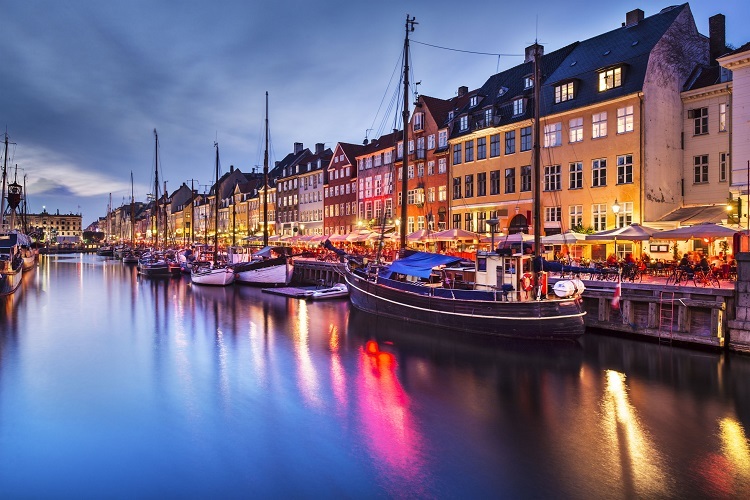 The city is enormous and it is filled with enough churches, Roman ruins, and exceptional restaurants that you could spend weeks here and never get bored. With its breathtaking buildings and monuments, incredible works of art, small-town charm, leisurely pace of life and world-renowned cuisine, the Eternal City is worth a visit at least once, though it would take a lifetime to see all it has to offer. Read on to see why you should visit Rome and what you can expect as you’re exploring this marvelous city. Rome is a city built on layers: Cascading ivy wrapped around ancient columns, ruins incorporated into modern structures, piazzas filled with remnants of 2,000-year-old temples, cobblestones that date back thousands of years. Rome is filled to the brim with visual records of its diverse time periods, and its an incredible sight to behold. Other ancient cities may have plenty of cultural heritage on display as well, but in Rome it is so integrated in the present city, that you will experience the breadth of its history at every turn. The ancient Romans were lauded for their architectural and engineering artistry, and testaments to their brilliance still stand throughout the city. A visit to Rome brings you up close with monuments and constructions that influenced building practices and trends over centuries and across continents, including the Colosseum, the world’s largest amphitheater, and the Pantheon, with the largest unsupported dome in the world. If you venture outside the historic center, you’ll also see Via Appia Antica, an ancient road that made the most of cobblestone techniques, and the aqueducts, an innovative way to bring large quantities of water into the city. Vatican City, the world’s smallest state and the center of the Roman Catholic Church, is one of the most sacred places in Christendom and is a big draw for tourists and pilgrims visiting Rome. Vatican City is located within Rome, adjacent to the Prati district, and contains important religious and culture sights, including St. Peter’s Basilica and the Vatican Museums. It has been the seat of the papacy since the 14th century, and the Pope holds an audience in St. Peter’s Square each Wednesday morning. The Sistine Chapel is one of the main attractions to visit in Vatican City. 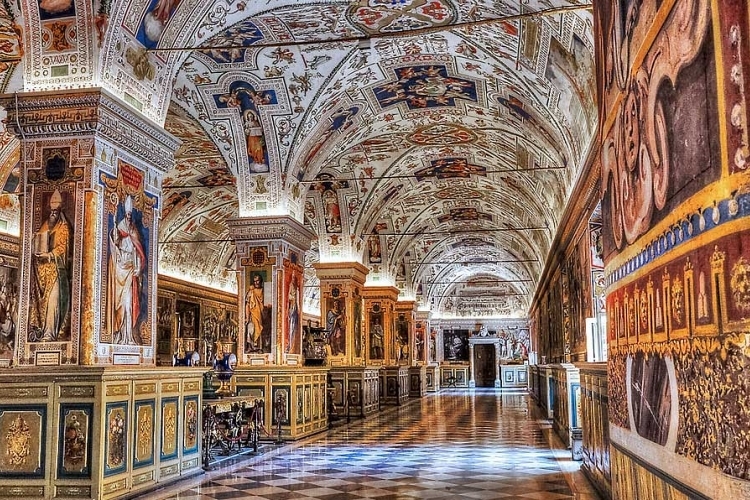 The highlight of a visit to the Vatican Museums, the famous chapel contains ceiling and altar frescoes by Michelangelo and is considered one of the artist’s greatest achievements. But the chapel contains more than just works by Michelangelo; it is decorated from floor to ceiling by some of the most famous names in Renaissance painting. 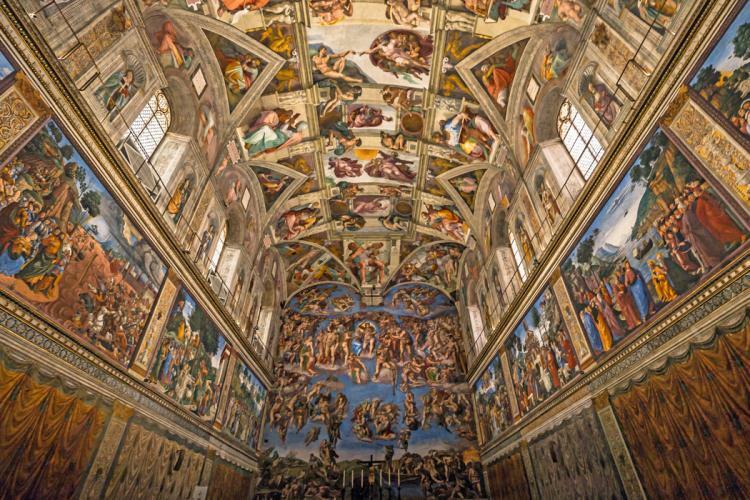 The Sistine Chapel is the last room that visitors see when touring the Vatican Museums. It is always very crowded and difficult to see all of the works inside of it at a close range. Visitors can rent audio-guides or book one of a few guided tours of the Vatican Museums to learn more about the Sistine Chapel’s history and artworks.The Vatican Museums are famous for their priceless sculptures, frescoes, tapestries and paintings, but the uncontested main attraction is the Sistine Chapel. The Sistine Chapel is located within the Apostolic Palace, the residence of the Pope, and is named for Pope Sixtus IV who restored it at the end of the 15th century. Michelangelo painted the cycle of frescoes on the ceiling of the Sistine Chapel between 1508 and 1512, and it is considered one of the greatest works of art in the world and an important landmark of High Renaissance art. You can take a virtual tour of the Sistine Chapel online but you’ll have to visit Rome to see it in person. Italian cuisine is beloved throughout the world but few people realize that each region of Italy has its own unique dishes. To taste Rome’s famous “cucina povera” dishes, you have to eat a traditional trattoria in the Eternal City. Rome is lauded for its pastas, including amatriciana, carbonara, gricia and cacio e pepe as well as its thin Roman-style pizza and pizza al taglio, or pizza by-the-slice – a favorite street food. There is also a heavy Jewish influence in the cuisine, so you’ll find lots of artichokes, zucchini flowers and anchovies incorporated into the dishes. Be sure to try the city’s delicious fried artichokes during your time in Rome. Italy in general, and Rome in particular, is famous for its dolce vita lifestyle where everything is seen through rose-colored glasses and real life appears to be a never-ending vacation. Rome has its share of problems – bureaucracy, transportation, unemployment – but a visit to the city will have you seeing its beauty and charms rather than its downsides. 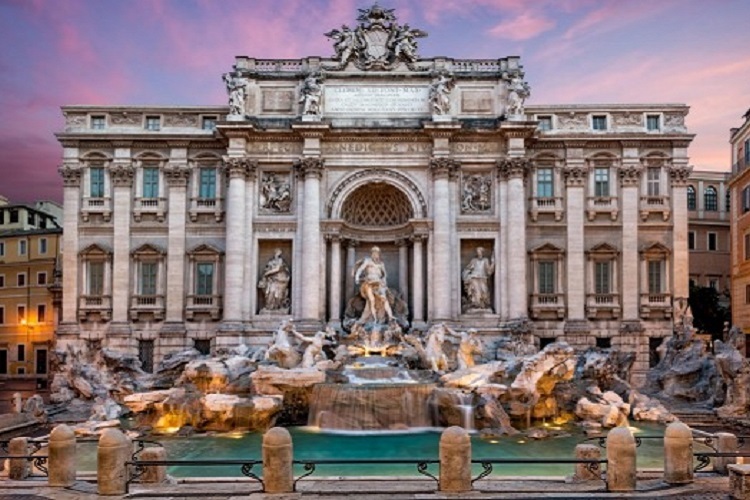 As you stroll through Rome’s elegant piazzas basking in the city’s plentiful sunshine with a gelato in hand, only to bump into magnificent sights such as the Trevi Fountain and the Spanish Steps, you’ll be sure to feel the magic. Rome is comprised of dozens of diverse neighborhoods and exploring these different quartieri is one of the most rewarding aspects of a trip to the city. The city truly feels like a set of villages combined into one expansive capital, so you’ll soak in plenty of small-town charm everywhere you go. The well-trodden Trastevere, Rome’s medieval neighborhood located across the Tiber River, is a bohemian enclave with plenty of bars and eateries that spill out onto the streets, while neighborhoods San Lorenzo and Pigneto are popular with students and an alternative crowd. Rome is located in the center of Italy, but in attitude and style it is largely a southern city. The pace of life is slow, work hours are relaxed and leisure is valued more than productivity. 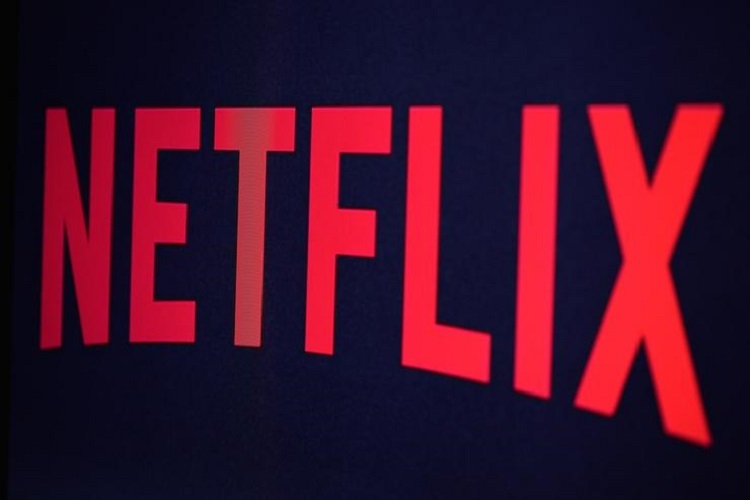 While this has some obvious negative consequences, living a slower pace of life also puts things into perspective and Rome provides a welcome respite from the frenetic energy overtaking most of the industrial world. Work/Life balance is important here, vacation is a right and time is largely relative: plans aren’t made weeks in advance but often last minute, and this is how Romans like it. Flash Sale by Frontier – BUY QUICK! ABOUT THE AMAZING CHEAP FLIGHTS TEAM – Steve Lavey, a 25 year Chicago citizen and frequent flyer who now lives in Denver but commutes to Chicago, built a team and this website to show others that it is possible to find lots of ways to use the tech tools out there to find really great cheap airfares, use some travel tricks, pass on all our tips, and to be able to travel the world on the cheap using these low fares and free miles. With a background as a Chief Financial Officer with a number of successful public companies and start-ups, this serial entrepreneur has developed a team of travel pros, who are always digging into the details to ensure each deal, tip or trick is a good deal with no hidden catches. 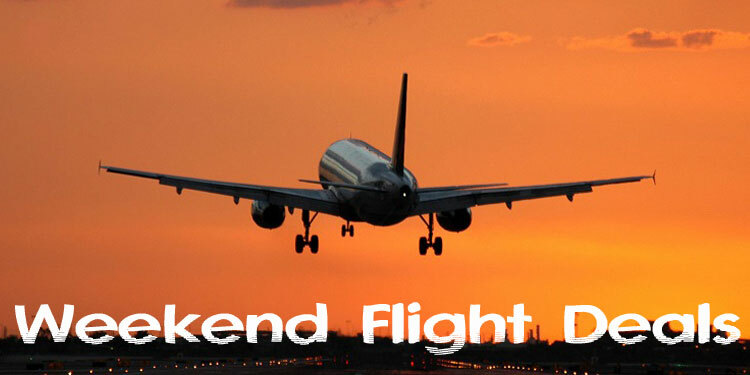 The goal of this site is to give you the best amazing cheap flights around the world, save you time and money, and let you maximize your travel dollars.